A family that's being held together by a deeply buried secret is about to come apart in the heart-wrenching new drama After , the latest film from rising director-writer team Pieter Gaspersz and Sabrina Gennarino. The film, starring Academy Award nominee Kathleen Quinlan, will be available on Virgil Films DVD on September 23, 2014. SRP for the DVD is $19.99. Set in the winter of 2002 in chilly upstate New York, After tells the story of a middle-class family struggling with the financial consequences of a failing business and a series of intergenerational conflicts and rivalries. But what truly threatens to upset their delicate balance - and shatter the emotionally fragile family matriarch - is an intricately buried secret that, if revealed, could alter their lives irrevocably. Kathleen Quinlan (Apollo 13, The Doors, Breakdown) stars as Nora Valentino, a woman whose husband, Mitch (John Doman; Blue Valentine, The Company Men), loves her more than anything in the world. So much so that he, along with his four children and sister-in-law, have gone to extreme lengths to hide a horror too painful for Nora to bear. Director Pieter Gaspersz and screenwriter and actress Sabrina Gennarino, who previously created The Hypocritic Oath, beautifully and intelligently peel away the layers of deception and mystery to reveal the tragic secret that haunts this family, whose actions have unforeseeable consequences. Nothing is as it seems in this powerful study of denial, deception and self-delusion. 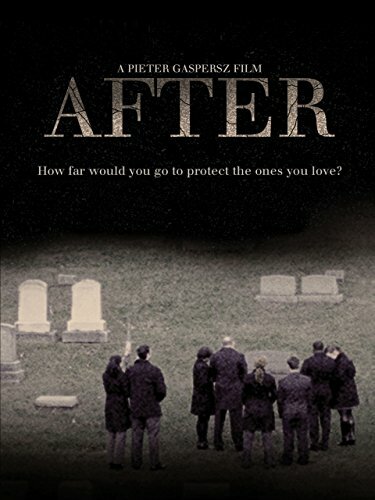 After is also a powerful portrait of the lengths we go to protect those we love. The cast of this 2014 theatrical release includes Pablo Schreiber of Orange Is the New Black as well as Sabrina Gennarino (The Monkey's Paw), Adam Scrimbolo (A Guide to Recognizing Your Saints), Diane Neal (Dirty Movie, Law & Order: SVU), Bruno Gunn (The Hunger Games: Catching Fire), Darrin Dewitt Henson (Stomp the Yard, Black Coffee) and Mandy Gonzalez (Across the Universe, Broadway's Wicked).